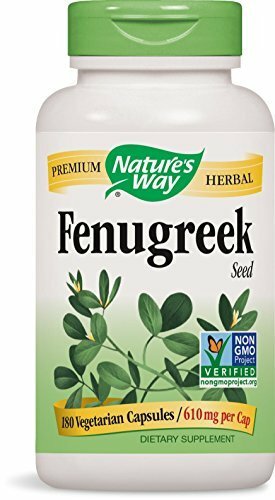 Natures Way Fenugreek Seed, 610 milligrams Per Cap, 180 Vegetarian Capsules. Pack of 4 bottles. Fenugreek (Trigonella foenum-graecum) is traditionally used to soothe the stomach. Ingredients: Fenugreek (seed) 1.22 grams. Other Ingredients: plant-derived capsule (hypromellose), silica. Contains wheat. Directions: Take 2 capsules two to three times daily.